As technology rises, so does the ability to videotape police officers do their jobs with one click of a cellphone. African Americans have complained about police brutality for many years, the rise of the smartphone has allowed the African American community to finally bring these claims to the forefront of News television, and, allow society and government officials to witness first-hand how police officers are treating and reacting to African Americans in a shoot first, ask questions later manner. “The rights of every man are diminished when the rights of one man are threatened.” This is a quote from the thirty-fifth President of the United States of America, John F. Kennedy (1917-1963). For this report, I’m going to analyze various News reports that revolve around the topic, “African Americans killed by Police.” I will discuss how various News sources reported and covered the deaths of: Sandra Bland, Michael Brown, Philando Castile, and Eric Garner. I will provide a brief summary of each case; as well as, discuss how competitor News Companies covered each case. I will discuss issues I discovered in my research with how each case was covered, how it was reported, and how it was presented to the public. Although, I believe News media has helped bring the issue of African-Americans claims of police brutality to light, I also feel the News media has contributed to justice and also injustices when regarding African-Americans and police brutality. In Bill Bird, Lolly Bowean, and Geoff Ziezulewicz’s (Chicago Tribune. July 16, 2015) article, “Family wary after Naperville woman’s death in Texas jail; grand jury to inquire,” states, “Bland was arrested Friday afternoon in the county, Northwest of Houston, after failing to signal a lane change, According to Trooper Eric Kurse, she was about to be let off with a written warning when she kicked the officer outside her car and was taken into custody. Law enforcement officials said she declined medical treatment,” and, “was charged with assault of a public servant and was arraigned over the weekend, when her bond set for $5,000.” What I believe is important to highlight about these two summaries of what took place is the two News sources were similar in regards to why Sandra Bland was pulled over by the police (traffic violation) and what she was charged for; however, The Washington Post didn’t include what took place at the scene between Bland and the officer, but The Chicago Tribune included, Sandra Bland had physically struck the officer on scene and that is why she was apprehended. The biggest issue I have Larimer and Ohlheisers’s (Washington Post) article, “What we know about Sandra Bland who died this week in a Texas jail,” is the same issue I have with Bird, Bowean, and Ziezulewiez’s (Chicago Tribune) article, “Family wary after Naperville woman’s death in Texas jail; grand jury to inquire.” The issue I have with the two, is that each of the stories implied that Sandra Bland was disruptive with the officer and that she displayed suicidal signs. Larimer and Ohlheiser, included in The Washington Post article, a Facebook post that Sandra Bland had made claiming Sandra was suffering “from a little bit of depression.” I feel by mentioning this, it automatically planted the seed to the public that she could’ve committed suicide instead of any wrongdoing on behalf of law enforcement to making her want to commit suicide. Also, with The Chicago Tribune including how she struck the officer, it hurt the News sources credibility and reliability. 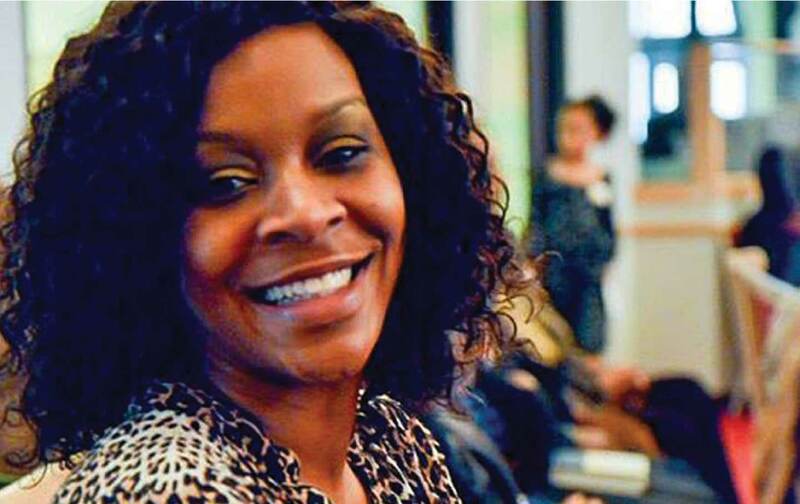 I say this because, according to Marissa Gerber of the Los Angeles Times (2016), Sandra Bland’s family was awarded a 1.9 million-dollar settlement due to police misconduct. The two News sources emphasized that Sandra Bland had done something to be detained; however, the facts of the case eventually showed the officer had mishandled the situation and wrongfully detained Sandra Bland, and Bland never physically struck the officer as, The Chicago Tribune reported. Next, I’m going to discuss the case of eighteen-year-old African-American male, Michael Brown, who was shot and killed on August 9, 2014 by a white police officer, Darren Wilson. Suspected in a robbery that took place earlier in the day at a convenience store, Darren Wilson approached Michael Brown because Brown fit the description to who the suspect was reported as earlier in the robbery at the convenience store. Allegedly, Wilson and Brown got into a scuffle and Officer Wilson shot Michael Brown, claiming that Michael Brown had tried to grab officer Wilson’s firearm while Officer Wilson was in his patrol vehicle. The two News sources I will be comparing and contrasting regarding the Michael Brown case is, BBC News and The New York Times. In the BBC News article, “Ferguson unrest: From shooting to Nationwide protest,” I was impressed by how much information about the case was included in the article, ranging from: reasons for protesting, what happened in Ferguson, Officer’s Wilson’s claim to what happened, the Grand Jury’s decision, and statistics revolving around racial biases in Ferguson, Missouri. In Larry Buchannon’s (The New York Times) article, “What happened in Ferguson,” focuses on what happened on the anniversary of Michael Brown’s death, a timeline of what took place up to Michael Brown’s shooting, evidence that was presented, witness testimonies, a sketch of where Michael Brown was shot, Grand Jury Announcement, and how long the initial protests lasted. The first similarity between the two News sources is each of the sources published the two articles on, August 10, 2015,exactly one year and one day after Michael Brown’s death. The second similarities found between the two articles is the language used in both articles is straight forward and doesn’t imply that the sources are more favorable to one side than it is the another side. Although similarities can be highlighted between the two articles, the articles are unlike in various ways. The BBC NEWS article discusses racial biases statistics in Ferguson, Missouri but leads the story with the protest that revolved around the Michael Brown shooting. The New York Times article, discusses factual information to what happened with the case and an update to how Ferguson was on the anniversary death of Michael Brown. I believe BBC News has some assumption in its article, mentioning how the events that took place were still “in-question”; whereas, The New York Times implied that what happened had a factual timeline and wasn’t a question as to what happen, just focused on why the protest happened because of the shooting. I believe with the amount of protests that took place during the Michael Brown shooting investigation, how the media outlets covered the protests led the public to placing an assumption that Michael Brown could’ve been guilty of trying to attack officer Wilson by simply showing how the individuals in the community were acting towards their own community. The next case I’m going to discuss is the case of Philando Castile, who was a thirty-two-year-old African American male who was shot and killed by a police officer in Saint Anthony, Minnesota during a traffic stop where Philando Castile’s girlfriend Diamond Reynolds, Facebook Lived the shooting as it happened in real time, on her smartphone. The News sources I will be comparing and contrasting regarding the case of Philando Castile is, MPR NEWS and CNN. MPR News Staff’s (MPR NEWS. 2016) article, “Timeline: The shooting death of Philando Castile,” focuses on a straightforward timeline of what has taken place with the case between July 6, 2016 to June 20, 2017. The article does a solid job of summarizing what took place, on what dates, what occurred, what resolution happened, and how the police officer who shot Philando Castile was ultimately charged with second degree manslaughter but was eventually acquitted. 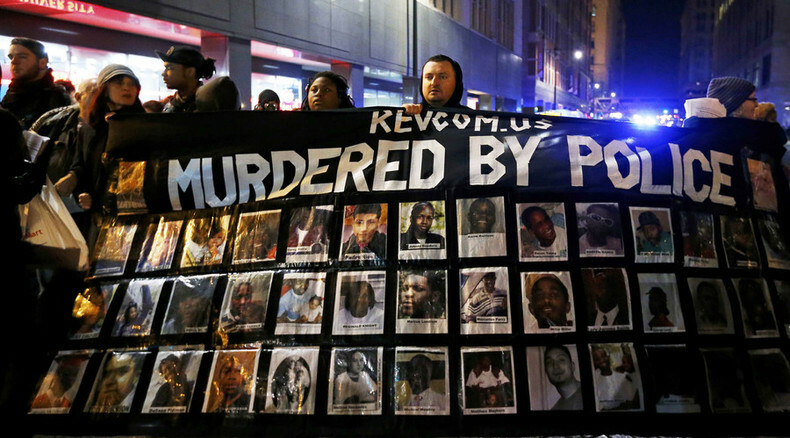 The article includes various sources, such as: court records, Justice Department statements, rulings, and information to how the police officer in the case was acquitted of the second-degree manslaughter charge which caused protests. Jay Croft’s (CNN, 2017) article, “Philando Castile shooting: Dashcam video shows rapid event,” shows a video of the incident through the police officer’s dashcam, which includes a full transcript of the conversation that took place between Officer Yanez and Philando Castile. The article raises speculation in the case, because it shows how Officer Yanez still lacked reason to shoot Philando. The article includes interaction where Philando Castile tells the officer he has a gun, the officer is aware, Philando reaches for something, and Officer Yanez unloads twelve rounds into his body with his girlfriend and her child in the car with him. The first similarity I found between the two articles is how the articles both raise speculation in the case. Both the articles show how Officer Yanez was in the wrong; however, was still found innocent of manslaughter charges. The major difference I realized between the two articles is that MPR NEWS discussed the Facebook Live shooting that Diamond Reynolds recorded in the vehicle; whereas, CNN didn’t discuss Diamond Reynolds at all and only included the transcript of Officer Yanez and Philando Castile. The last case I’m going to discuss is the case of, Eric Garner, who was an African-American male who died in Staten Island because a New York City Police Department officer placed him in a chokehold for fifteen to nineteen seconds, causing his death. Eric Garner’s case struck the movement, ‘I CAN’T BREATHE’, where athletes and others wore t-shirts to honor the life of Eric Garner and how justice wasn’t served in his case. The two News sources I will be comparing and contrasting regarding the case of Eric Garner is, NY DAILY NEWS and TIME. The New York Daily News article, “From chokehold death to no indictment: a timeline of events since Eric Garner’s death,” includes a brief timeline of the events that took place during the case between July 17, 2004 and August 19, 2014. Josh Sanburn’s (TIME. 2014) article, “Behind the Video of Eric Garner’s Deadly Confrontation with New York Police,” goes in-depth to what took place in the cellphone video recorded of the incident and how the police department could be perceived as being at fault. The individual who recorded the instance, Orta, stated “I felt like they treated him wrong even after they had him contained.” The article is based on the footage from the cellphone camera that recorded the incident. I believe the two articles are different regarding the content presented to its viewers. The New York Daily News covered the story very briefly, without giving much details on what took place. The timeline was accurate, however, lacked information and sources; whereas, TIME had an in-depth feature on what the perceived the cellphone recording video to be of the incident. Now, I’m going to discuss two completely different sources, an academic journal and a television-based story that revolves around African-Americans killed by the police. Abe Markman’s (The Humanist) academic journal, “Why Are So Many Unarmed Black Americans Killed by Police,” is an insightful article that discusses racial tensions amongst the police and includes recommendations to what should be done when a police officer kills and unarmed black man and what should be done to prevent police from killed unarmed African-Americans. Markman states, “According to the Police Chief Magazine, early results indicate that officers becoming aware of their own unconscious biases helps officers see situations for what they actually are rather than through the lens of their fears and stereotypes.” I found this academic journal to be successful in its delivery, credible in its information, and doesn’t just focus on what side of the story but on both sides of the story. Meaning, the article didn’t just discuss how it’s hard for African-Americans, but, discussed how police have a hard job as it is and eliminating biases during training can help prevent these instances from happening. The language and verbiage in the article was professional, well-crafted, and discusses the topic of Black men killed by Police in a different manner. The television-based story I’m going to discuss is Fox Sports One’s debate show, ‘Undisputed,’ and a segment of the show where Shannon Sharpe discusses the issue of racism in America and equality revolving around African-American oppression and police brutality. 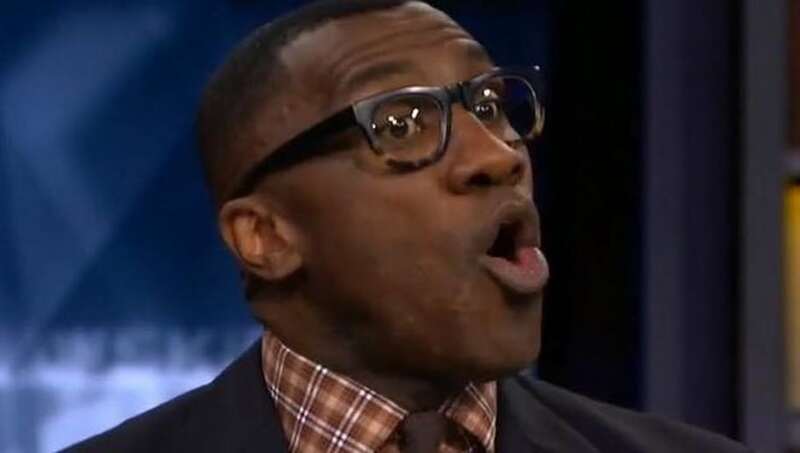 In the segment, Shannon Sharpe gives a passionate, un-academic opinion on African-Americans in society and how police treat African-Americans in society. Shannon Sharpe, is a Hall of Fame football player who is of African-American descent. Shannon Sharpe states in the segment, “All cops aren’t bad! All blacks aren’t thugs! All whites aren’t racist!” Shannon went on to say, “We want equal justice for equal crime.” I found this segment to be powerful in how Shannon delivered the topic in his own verbiage to where he didn’t disrespect any one category of people. I also liked how in the segment, Shannon discussed smartphones and how the device allows society to see what African-Americans have complained about for years. Although, the two News sources are two different mediums, academic journal and television-based story, the stories are similar in its delivery. Even though Shannon Sharpe can come off as sounding biased, he isn’t biased because he included how not everybody is bad in this world. Shannon highlighted how good cops, need to say something, to the bad cops. In Markman’s academic journal, he discusses the subject in the same type of manner because he doesn’t use biased verbiage. Markman discusses all sides of the issue, just as Shannon Sharpe did in the television-based story segment. A dissimilarity between the two sources is that one source uses credible and reliable sources, and, the other source uses personal experience and research. I believe both mediums were effective in how they discussed the topic and how the problem needs to be addressed. In conclusion, I first discussed the case of Sandra Bland and included a brief summary of her case, compare and contrasted two media News sources, which included: The Washington Post and The Chicago Tribune. In my research, I concluded The Washington Post was limited in the information released on what happened at the scene of Bland’s arrest and The Chicago Tribune included that Bland had physically struck the officer which was eventually determined to be false. Each of the News sources I had an issue with because of how the sources planted the seed in the public’s brain that Sandra was possibly suicidal, and no wrongdoing was done by the officer. Second, I discussed the case of Michael Brown and Officer Darren Wilson. The two News sources I compared and contrasted in this case was, BBC NEWS and The New York Times. I discussed how BBC NEWS included statistics about how African-Americans are treated in Ferguson, Missouri and led their story with the issue of the protests taking place which I felt took away from the overall attention Michael Brown should’ve received. I believe bringing attention to the protest, hurt the fact, that a police officer had killed an unarmed suspect. The third case I discussed was the case of Philando Castile, while comparing and contrasting the two News sources, MPR News and CNN. I highlighted how MPR News covered the fact that Philando Castile’s girlfriend Diamond Reynolds, Facebook Lived, the event; whereas, CNN only mentioned the dashcam footage and didn’t mention the Facebook Live video that Diamond Reynolds recorded. The fourth case I discussed was the case of Eric Garner, and how it was covered more intensely because smartphone, cellphone footage captured Garner being detained in a chokehold for longer than 15 seconds, which led to his death. The two News sources I compared and contrasted regarding the Eric Garner case, was: New York Daily News and TIME. Lastly, I discussed the overall topic of African-Americans and police brutality, by focusing on Abe Markman’s academic journal, “Why Are So Many Unarmed Black Men Killed by Police,” and how it presented the information in the journal, unbiasedly. I also included a segment from the Fox Sports One debate show, ‘Undisputed,’ and included Shannon Sharpe’s opinion to equality in an unacademic form compared to an academic form with Markman’s journal. All in all, I believe police officers should be held fully responsible when deciding to use their weapon on the job. I believe there should be more training programs to help prevent officers from becoming racially biased, especially towards African-Americans. I also believe that how the News media frames a story, does affect the public’s perception of the story. I noticed how in the Sandra Bland, Philando Castile, and Eric Garner case; settlements, all occurred in each of these cases because the cops were at fault; however, the cops were not charged in any death nor wrongdoing, just terminated. I believe cops should have to adhere to the Constitution and to the criminal justice system as everyday civilians do, especially, when making a poor decision. When a civilian makes a poor decision they’re punished to the law. When a cop makes a poor decision, the cop is smacked on the hand, instead of handcuffs being slapped around their wrists. 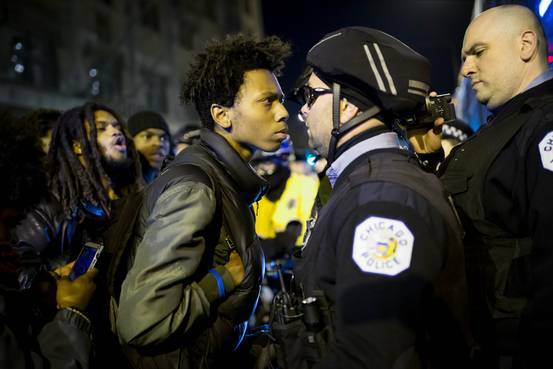 I believe this is what continues the trend of racial biases between police officers towards African-American males. Oh, and the fact some cops are just flat out, racist.